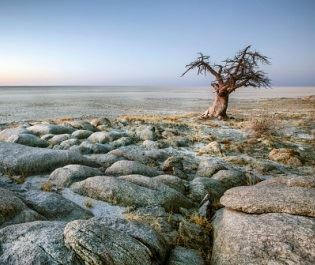 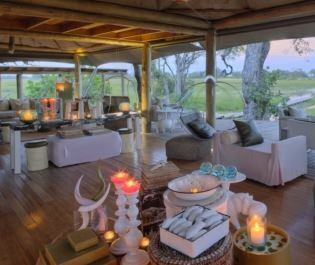 Nestled in the private Mombo Concession within Moremi Game Reserve, Mombo Camp is certainly one of our favourite camps for spotting a myriad of impressive wildlife. 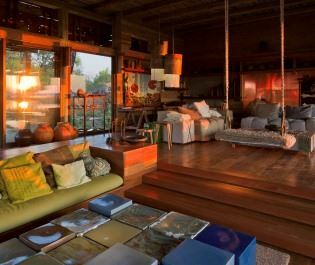 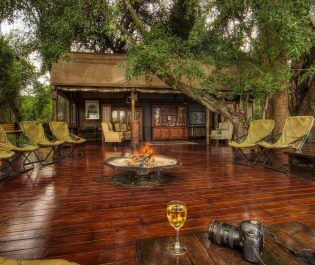 After days spent on brilliant game drives, what could be better than resting in this rustic, charming lodge? 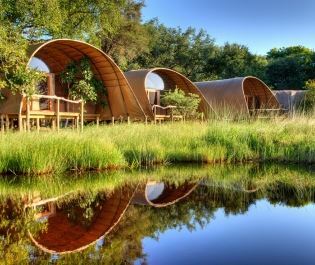 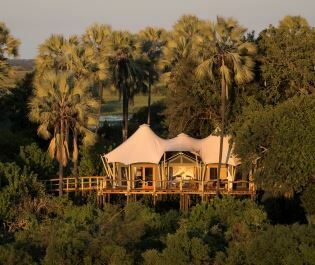 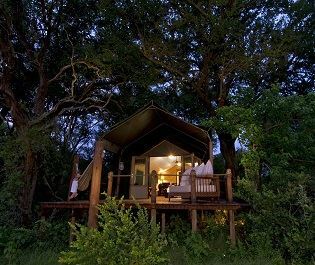 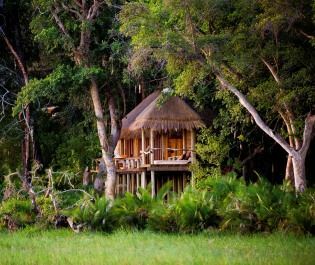 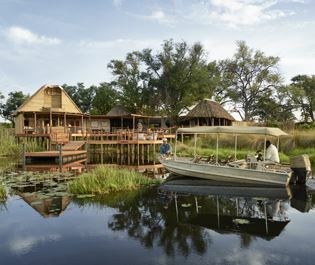 There are nine en-suite tents, all raised off the ground with a long veranda. 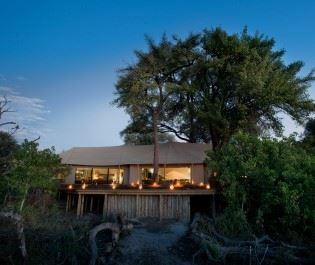 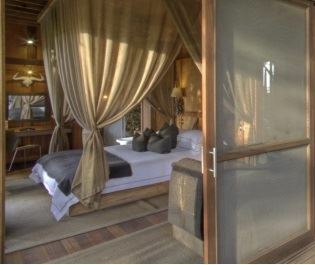 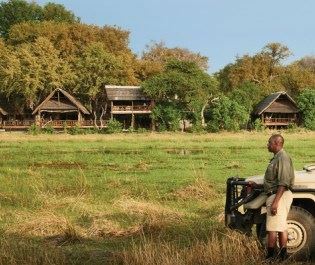 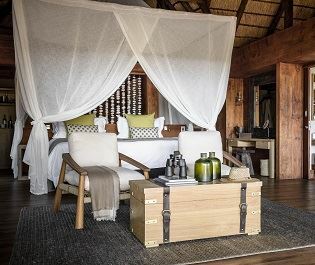 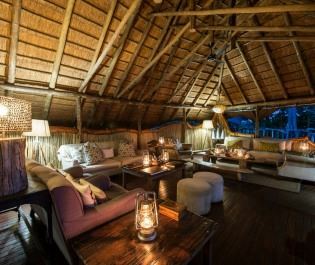 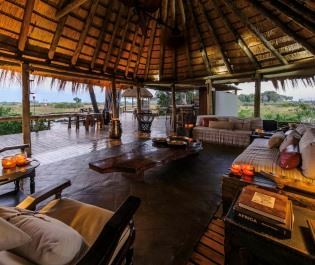 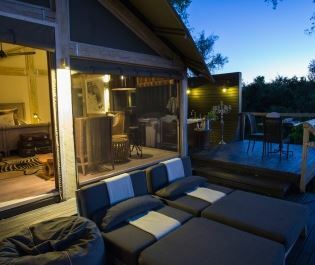 Inside, each tent is extremely spacious, with a cosy open-plan lounge and gorgeous traditional safari décor. 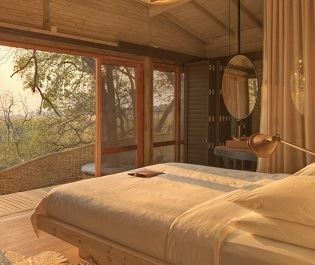 We love the clear canvas walls at the front of each tent – the panoramic views are wonderful, whilst each tent’s private sala hidden in the trees is perfect for a peaceful afternoon. 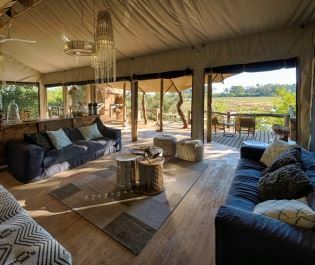 With natural wood furnishings, comfy sofas and romantic lanterns dotted around, the main lounge area reminds us of a homely country-house, whilst the open-air dining tent overlooking the floodplains is a scenic spot to tuck into gourmet cuisine. 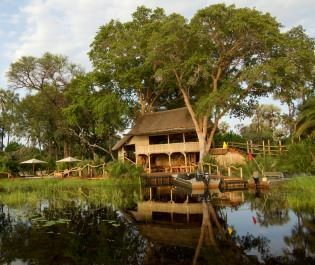 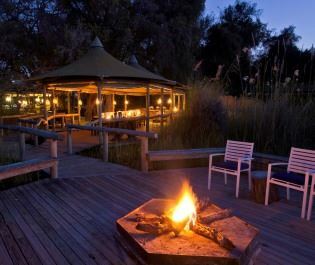 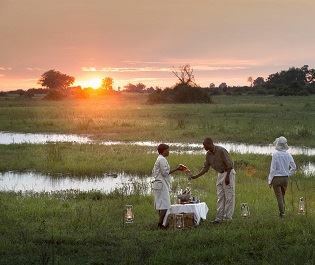 Our favourite place to relax in the evenings is the outside boma – with toasty campfires and a backdrop of stars, a dinner here is a magical experience. 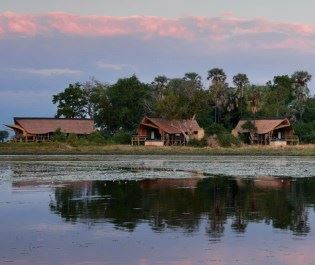 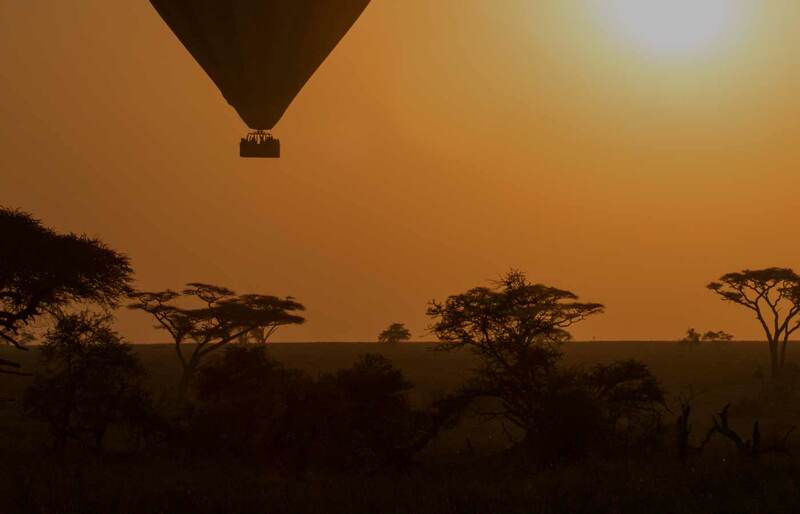 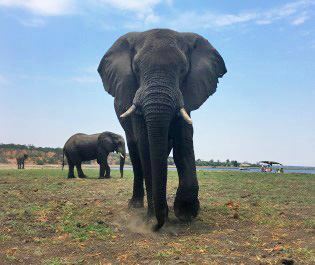 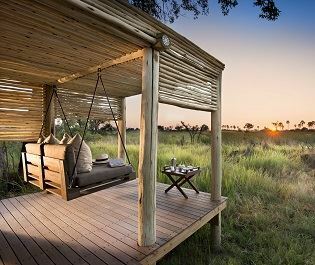 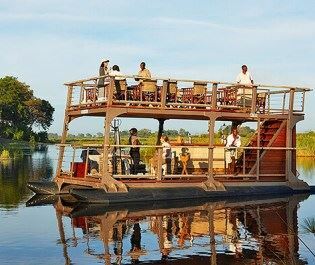 The lack of WiFi will truly bring you back to nature, giving you time to take in the reserve’s natural beauty and the vast amount of wildlife that roam through the endless savannah. 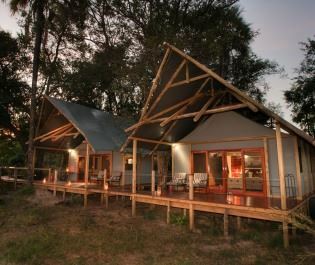 Open May to December, children over 12 are welcome.